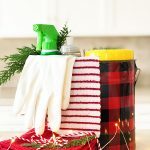 Take away the stress of getting ready for the holiday season with these practical Holiday House Cleaning Tips! A sparkling home awaits you and your guests! This post is sponsored by The Home Depot Canada. I have been compensated for my time, but all words, opinions and images are mine. The holiday season is fast approaching and that means we’ll be opening our doors to many family and friends over the next few weeks! 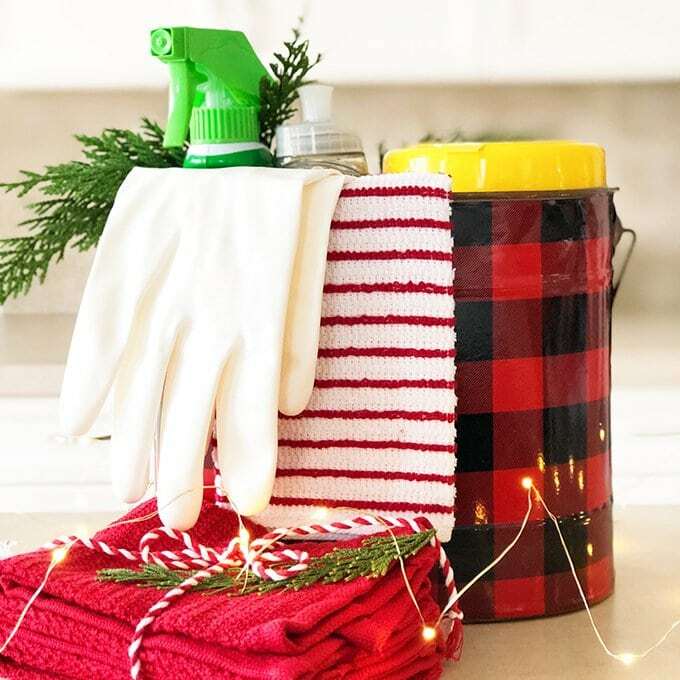 So I wanted to share some tips to get your home clean and ready for the holidays. Everything from tasks you can complete weeks in advance, to tips for getting ready just before guests arrive. Let’s get ready for the most festive and fun time of year! Before you dive right into making your home sparkle, here are some simple ideas to consider before you get started! Make a List! Before you get started, make a list of everything you want cleaned and organized. This is such a busy time of year, so take some of the stress off of yourself and get your to-do list out of your brain and onto a piece of paper. Then look at it again and remove some things that maybe just aren’t necessary. Do you really need to organize your closets and office this time of year?…Maybe save that for January! Stock up on your favourite cleaners. 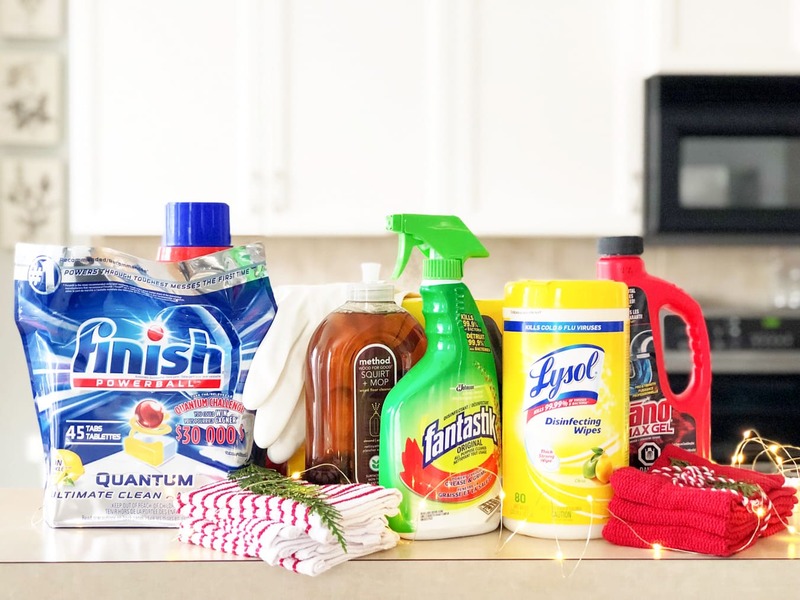 Before the holidays are upon us, stock up on cleaning supplies. I make sure I’m stocked up with cleaning sprays, dishwasher detergent, garbage bags, cleaning wipes, detergent and floor cleaner. So I’m ready for anything! Tackle one room at a time. You don’t need to do everything at once. Maybe start with your kitchen one day and finish everything you want cleaned in there first. Then tackle the living room another day. I find this helps with not getting me overwhelmed with everything I have to do. Prioritize. This goes back to tackling one room at a time. Right before I’m expecting guests, I will focus on the rooms that I know my guests will be using the most, like cleaning the kitchen, the guest bathroom and tidying the entry way and the living room first. Get the kids involved. Our kids can help! Give them age appropriate cleaning tasks. Every little bit helps. The kitchen is where all the deliciousness of holiday season is created, so make sure to get it sparkling clean (and inevitably it’s also the space where every party ends up!) Here are some tips to make your kitchen ready for the holidays. Stock up on dishwasher detergent. Nothing worse than running out of detergent during the busiest time of year for your kitchen! Stock up on supplies like garbage and compost bags. You don’t want to run out of these during the holidays! 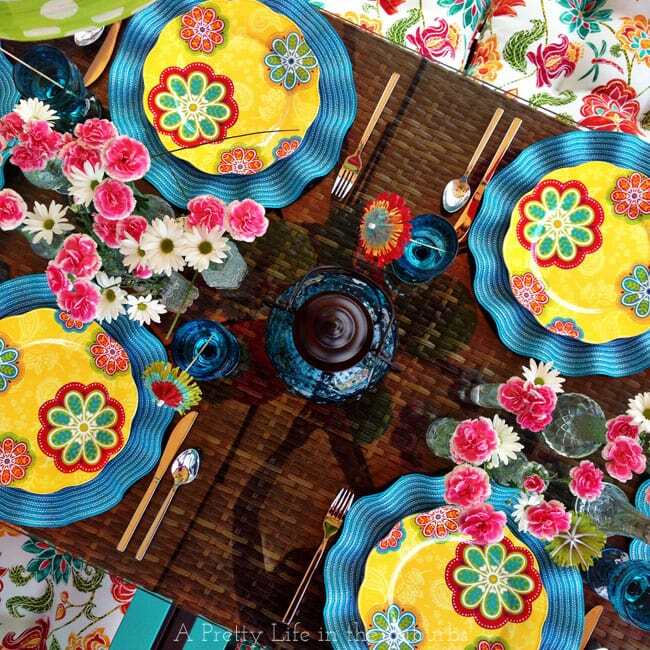 Wash your table linens, napkins, dishtowels and wash cloths. I like to do this a couple of weeks ahead of time to make sure I have enough of everything, and then they’re ready when you need them. 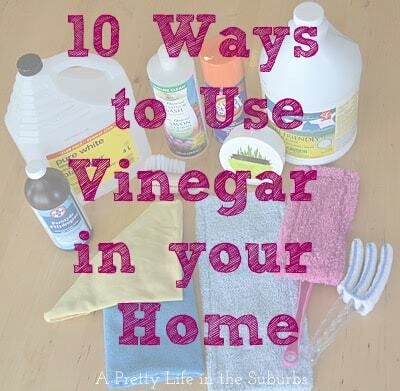 Wipe down your countertops, cupboards and appliances. When these surfaces are clean, it makes everything feel so clean. Clean your oven and microwave. These appliances get a workout this time of year, so make sure they’re nice and clean for all the cooking and baking you’re going to do! Guest Ready Cleaning Tip! Right before guest arrive make a stovetop potpourri to get your home smelling cozy! I think clean bathrooms are most important! Every guest, friend and family member will be using your bathroom so make sure it’s sparkling clean. Clean your toilets from top to bottom. Don’t forget all the little nook and crannies at the base of the bowl. Clean your faucet and sink. 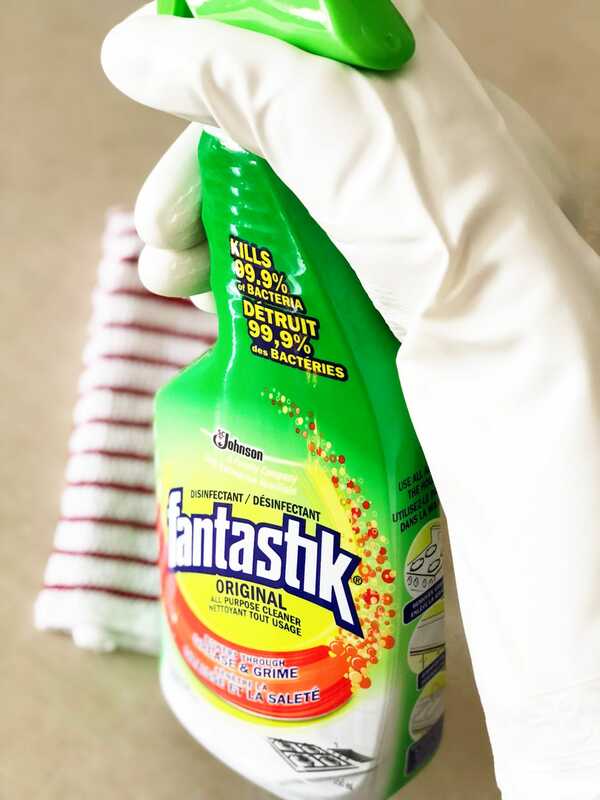 I like to use an all purpose cleaner like Fantastik to get my sink sparkling. Make sure the hand soap is full. Adding a holiday scented soap is a nice touch as well. Hang clean towels. Dirty hand towels just won’t do. Provide at least 2 towels and wash them after each gathering. Empty the garbage can. A full garbage doesn’t feel very clean! Check your drains! With 2 people with long hair in our household, our drains get clogged. So I check the sink and shower drains before guests come to stay…no one wants to stand in a tub of water that won’t drain! I also like to have extra Drano on hand in case of clog emergencies. Make sure your bathroom smells nice! Consider adding a reed diffuser to this space so it smells extra good! Wash pillows and throws. If possible, toss pillow coverings and throw blankets in the washer to get them clean and smell fresh…no one wants to snuggle up in a blanket that smells like tacos or your dog. 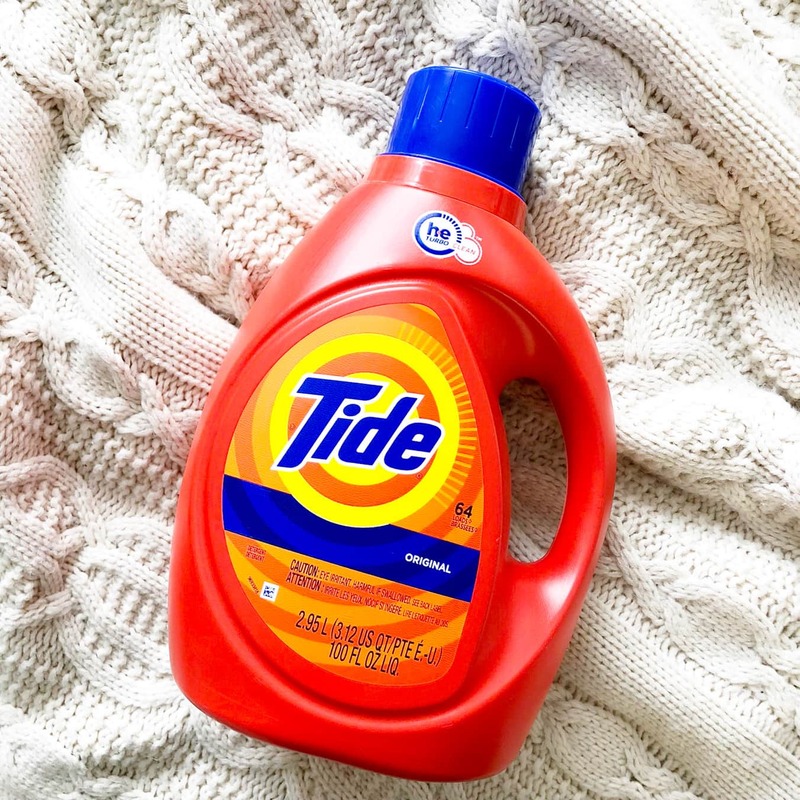 I like to use Tide Original because it smells SO good. Don’t forget to dust. Wipe down coffee tables, end tables, shelves, the mantel…anywhere you can imagine dust has settled. Clean out the couch. Remove all the cushions from the couch and vacuum away all the popcorn and mystery items that gather under the cushions. Check your lighting. Check your lamps and ceiling lights to see if they are all working. I am always surprised by how many light bulbs I end up needing to replace. Clear the clutter! Before you decorate for the holidays put away those books, boxes and miscellaneous items that will just feel like clutter mixed up with all the seasonal decor. Vacuum the floors. A quick vacuum makes a house look and feel clean. Make sure to vacuum up pet hair! Guest Ready Cleaning Tip! Have enough throw blankets cleaned and available for each of your overnight guests. Sweep or shovel your front porch. Having a clean entrance is a nice way to welcome your guests. Clean the windows and mirrors. Entryways are well used areas so make sure they sparkle! Toss your door mat (if possible) into the washer. I always keep washable mats at my doorways. They are the most used flooring so I like to make sure I can toss them in the washing machine on a regular basis. Put away the clutter. Clutter and junk has no place at the entryway. Add extra hangers to your front closet for guest coats. I always forget to do this and don’t realize how important it is to have enough hangers for my guests until it’s too late! Make space available for boots and shoes. To avoid cluttering up your entryway, consider making room in the front closet for boots and shoes, or add a few plastic mats so guests know where to put their footwear. 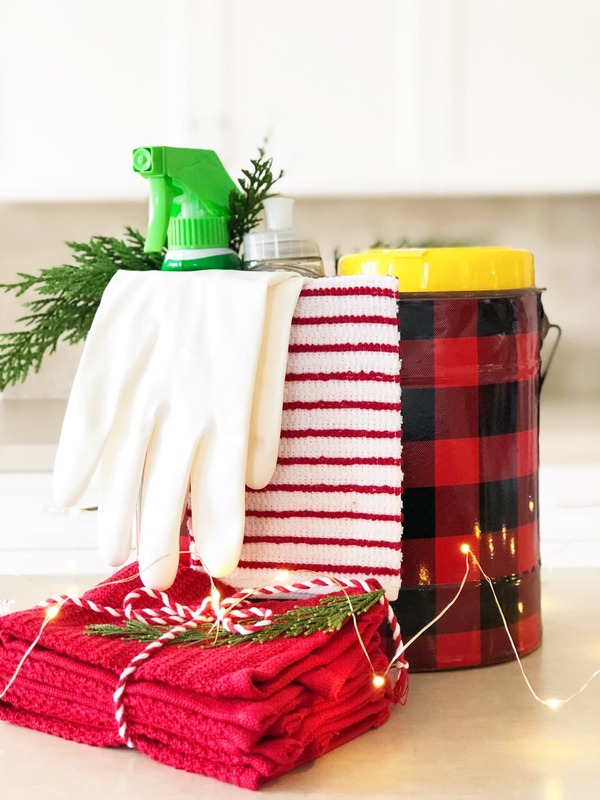 My Biggest Holiday Cleaning Tip! My biggest tip, is don’t stress. The holidays are supposed to be fun for you too. The best thing we can do for ourselves this time of year is to plan and prepare ahead of time. Get the supplies you need in advance. Then enlist help. 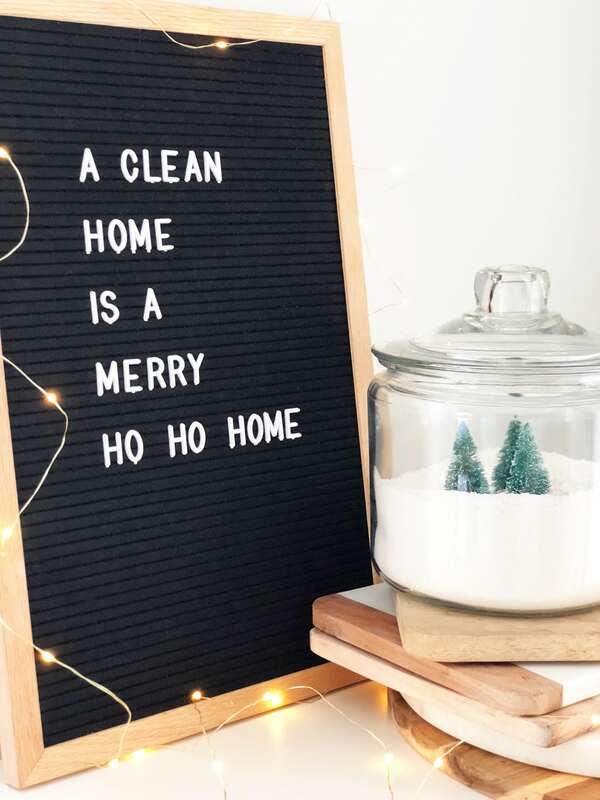 It’s ok to want a clean home for the holidays, so assign tasks to everyone in your family…things will get completed more quickly and with less stress on you! 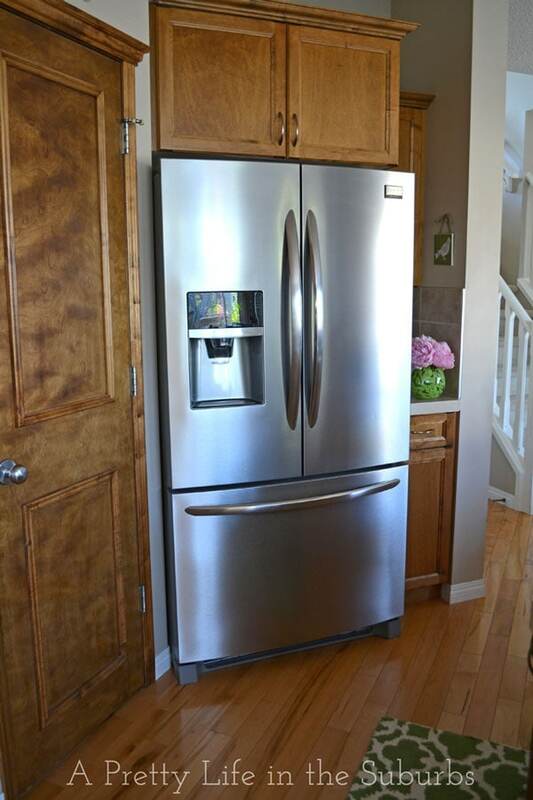 Organizing My Life With The Frigidaire Gallery® French Door Refrigerator! Love these tips! theyre motivating me to clean really well for my guests next week! I love your tips , really motivating! I have the same board with words at home! Thank you Laura! 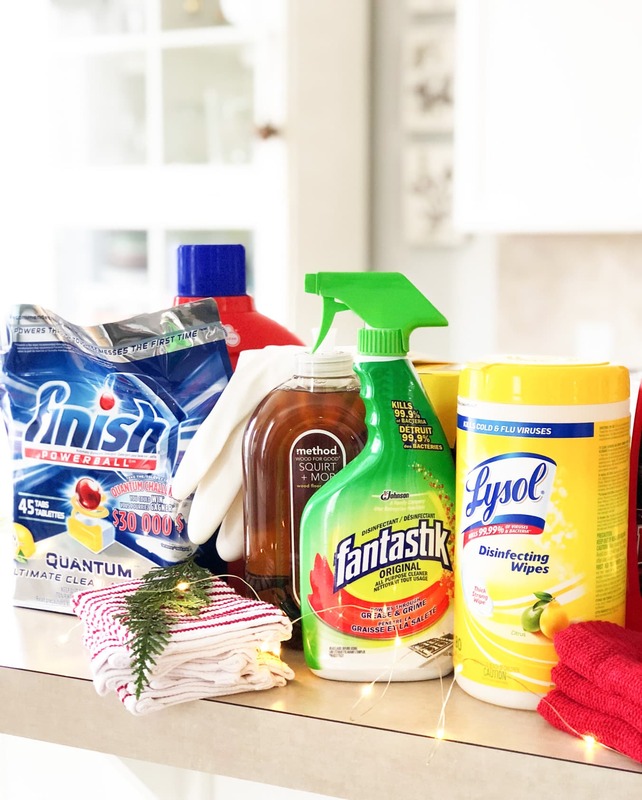 Cleaning for the holidays can feel so overwhelming, so I always hope my tips will help! And isn’t that board so fun?! I love switching it up for all the different seasons and occasions! Hey, Thanks for the coming to me at the right time. This is actually what I was looking for this. I think these are some helpful tips about cleaning house for the all busy housekeeper like me. Already bookmark this site for future reference. Keep up with good work.